Madrileñas Eva Calonge and Blanca Ribas are a pair of emerging documentary film makers whose most recent project, Érase El Rastro, led to a television appearance on TeleMadrid. I was invited to their premiere in a little bookstore in El Rastro, where I instantly fell in love with the whole project – and had a chance to meet all the incredible characters in it too. 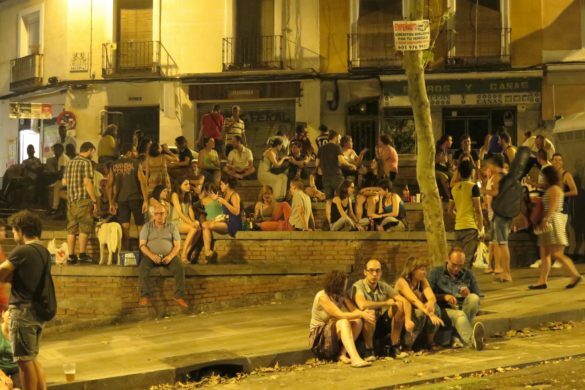 El Rastro isn’t just a tourist sight, nor is it just a street market. 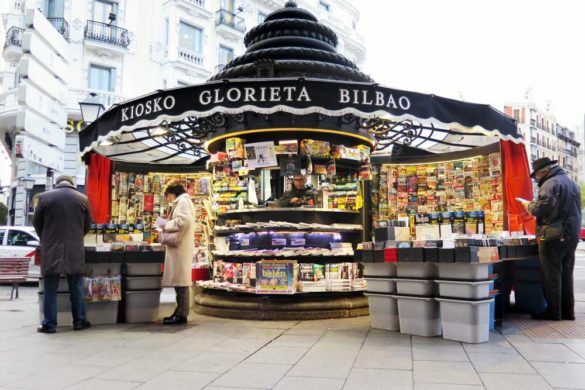 It’s also not just a historic collection of antique stalls with ancient gitano origins: it’s a 400-year-old community of quirky characters from all over the world, who live, eat and breathe El Rastro. In 1946, Karam Zafar packed his bags, said goodbye to his family in India and embarked on a one-way boat journey to Spain. They circumnavigated the entire continent of Africa, finally arriving in Spain three long months later. Zafar was a missionary sent to Spain to spread the word of Islam, where he was met with both warmth and suspicion – the last mosque to exist in Spain was violently burnt to the ground seven centuries ago, and now Spain was under a dictatorship strongly backed by the Catholic church. 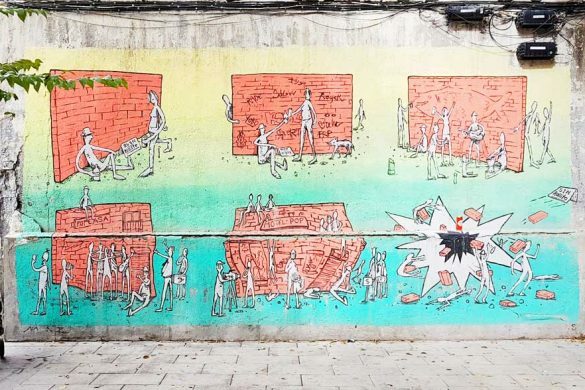 Unsurprisingly, his work on the streets of Madrid was quickly called into question and he was jailed. But he wasn’t about to stop preaching just because he was in prison; after local guards realised that Zafar was converting inmates, they decided that he was better off on the outside. 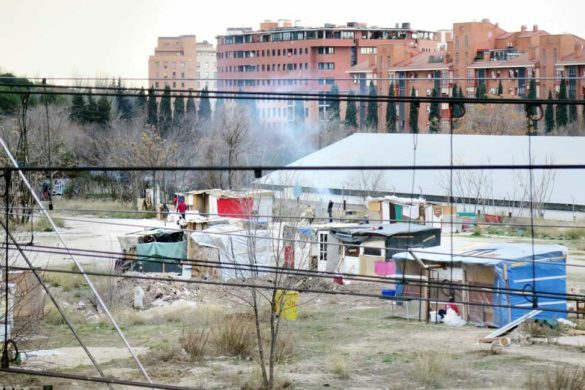 After he had spent years preaching to madrileños, his superiors back home told him that the project had run out of money and he had to come home. 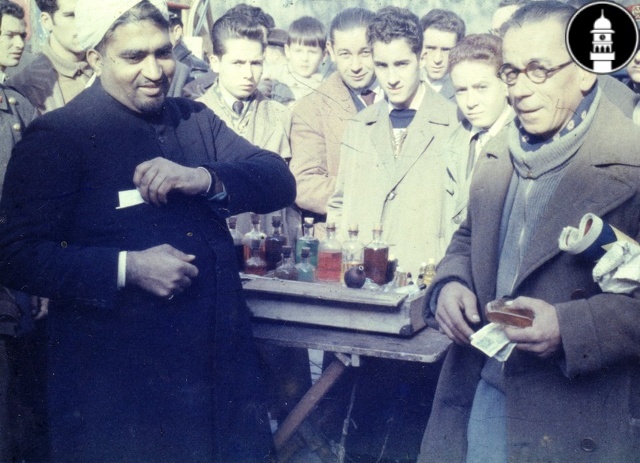 Zafar’s mission was to be cut short, until he decided to stay and fund it himself, and that’s when he began making oil-based perfumes and selling them in El Rastro. 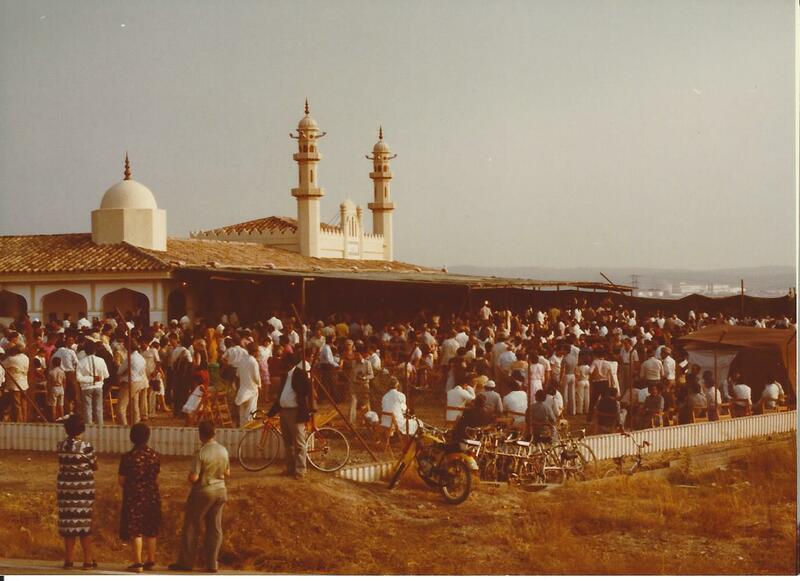 With all the success and influence he’d had here, in 1982 he opened a mosque in Cordoba. It was the first mosque to be built in Spain for over 700 years, and was to have a profound influence across the rest of Spain. 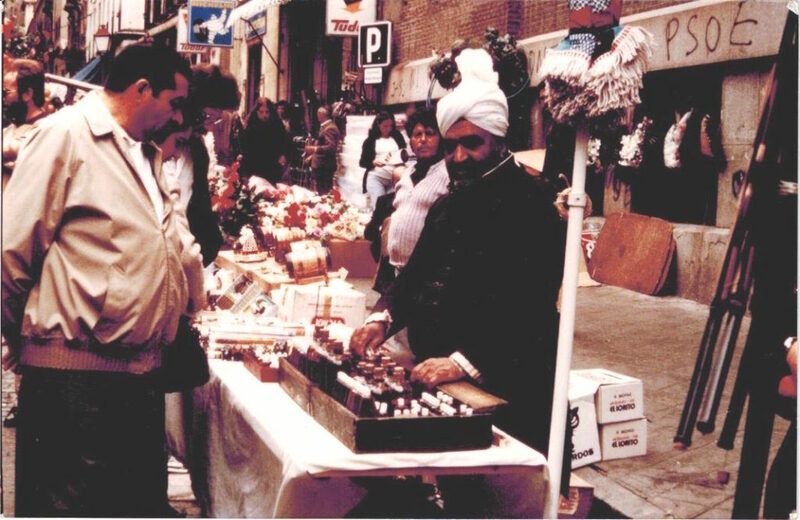 Karam Zafar sadly died several years ago, but his son, Qamar Fazal, whom Eva interviewed, continues his legacy of educating the people of Madrid about Islam. Qamar has even kept his father’s modest stall on Plaza del Campillo del Mundo Nuevo where you can still find his old perfume bottles and books about Islam. In the distance, I faintly hear a country and western anthem, then the familiar purr of an old motorbike. 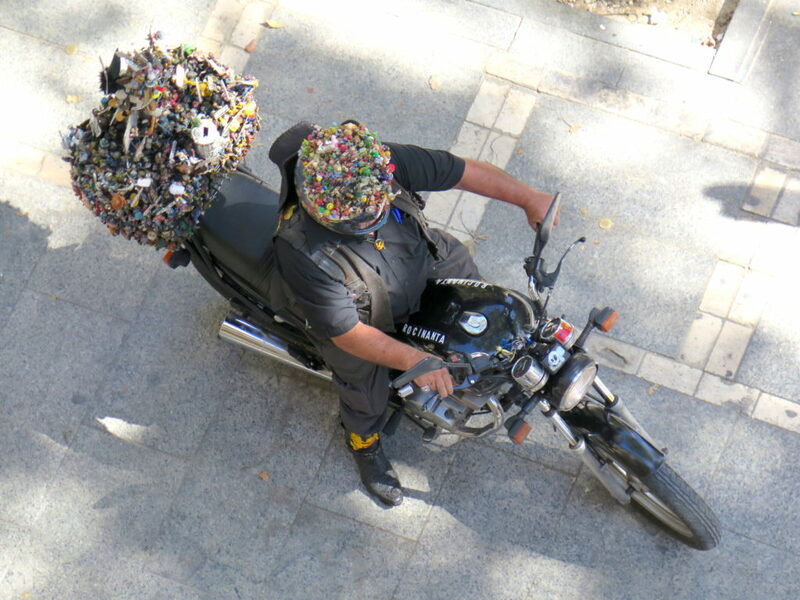 A large, hairy, leather-clad biker appears and parks up in front of me – his bike and helmet are plastered with tiny comic book figurines. Many know him as El Vaquero del Rastro (The Rastro Cowboy), but his real name is Jesús Jiménez Martínez. His funny character and lust for life shine through in Eva’s interview with him, where he tells his story. When he was a child, he ran away from home (Valdepeñas) and came to Madrid. 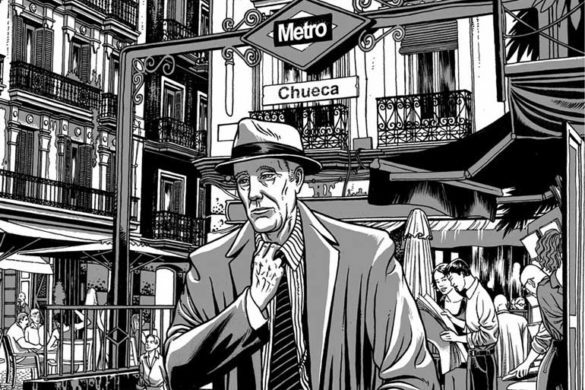 Just a couple of days after he arrived, a friend introduced him to El Rastro, which back then used to run every day. To Jésus, he’d struck gold, so he set up a stall selling comic books – a passion of his – to try and make a living. 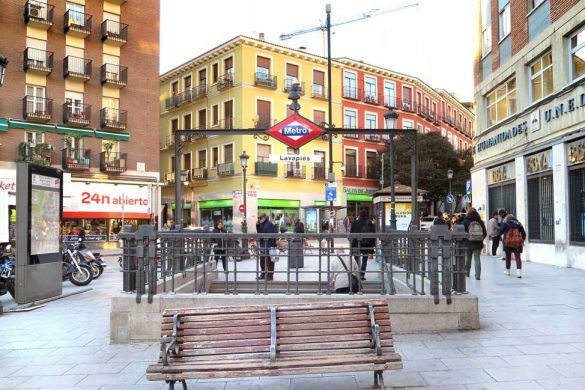 When he started in 1975, El Rastro wasn’t regulated, so he plonked his little table wherever there was space until the rules changed and he bought a permanent place on Plaza del Campillo del Mundo Nuevo. You can still find him there every Sunday, mingling with the other stall holders and selling the odd comic. This tall, old-worldly gentleman with an impressive moustache and enviable posture was a lucky person to get talking to, says Eva. Alberto Gómez Font knows everything and everyone in El Rastro, and was able to introduce her to many of the characters in her documentary. Alberto is from Barcelona but lived in Rabat for many years. He speaks about markets in Morocco being very similar to El Rastro. 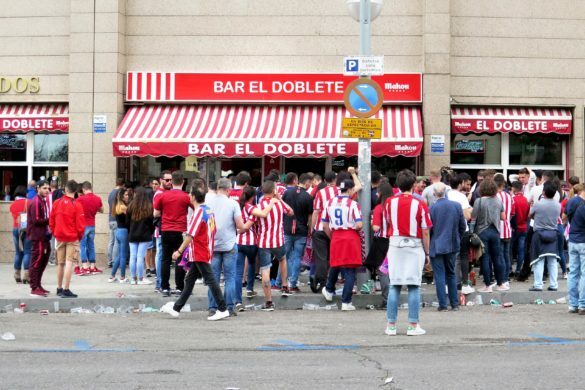 In fact, he calls it a zoco (souk), and says that El Rastro is the northernmost tip of Africa – everything south of here culturally has more in common with Morocco than the rest of Spain. In the video below, Alberto talks about El Rastro and many things about this souk-style street market that you never knew, including the old German Nazi who sold WW2 memorabilia during a time when being right-wing was cool. 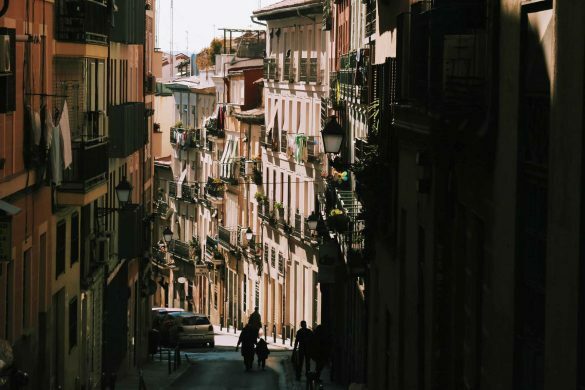 He also talks about how El Rastro is both open to change and resistant to change; it’s a market of contrasts where, as is so often the case in Madrid, old meets new and the two exist in harmony. 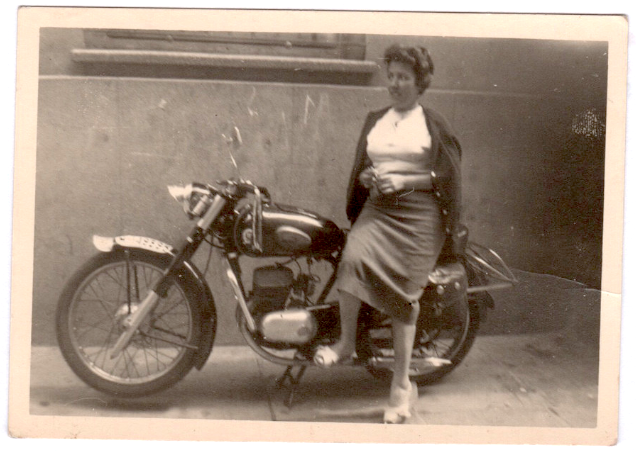 Eva’s grandmother, Mari Luz, is a charming woman. 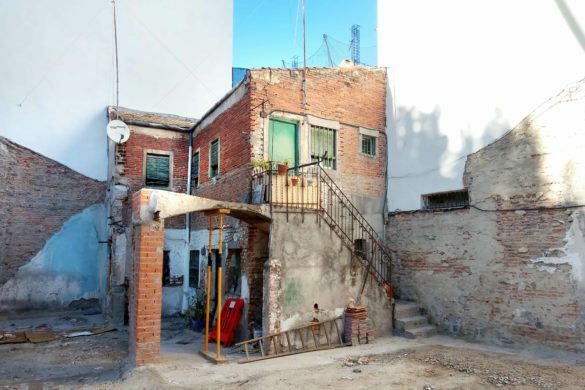 She was born on Calle Abades (one of the boundary streets of El Rastro) and gives us an idea of what it was like to be a local living in El Rastro some 50 years ago. It was all a lot more ramshackle than now, she says, and almost all Rastro-goers and stallholders were Spanish – quite a change from today. 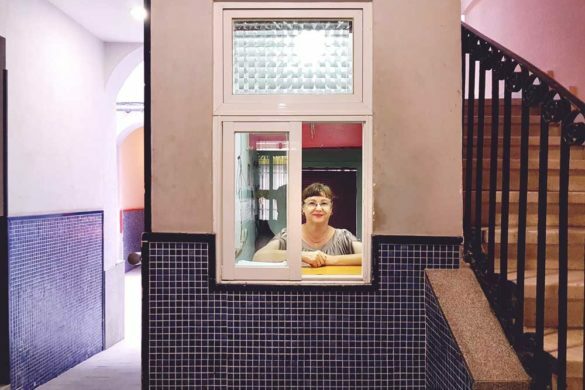 She takes us to the building where she was born and shows us the ground floor flat where their porter was brutally murdered and the walls left soaked in blood. Everyone wondered who did it and, even to this day, the mystery remains unsolved. 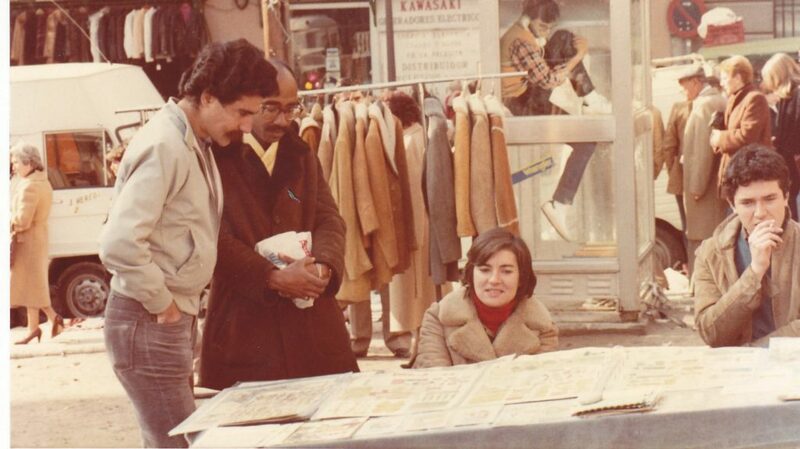 Jose Antonio has been buying, restoring and selling furniture in El Rastro since 1985. 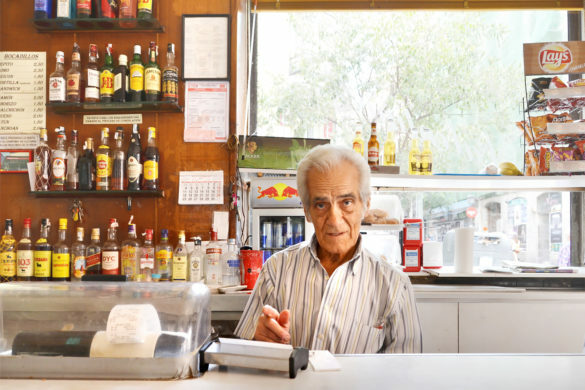 He’s seen a lot of change since then and tells us that the shift from pesetas to euros reduced sales significantly: suddenly people didn’t have small change and began spending their money more carefully. When the crisis hit, people were desperate; they were selling everything they had. 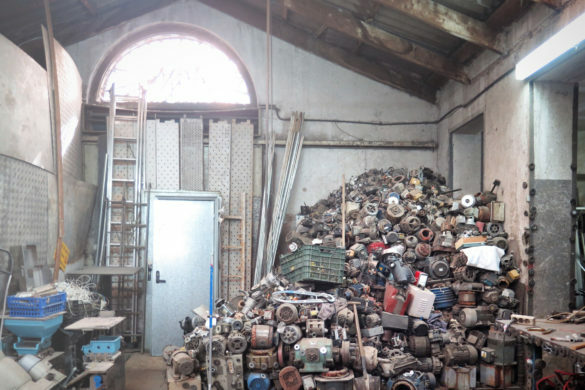 Jose found himself buying a lot more pieces than he sold, and his collection grew more and more fascinating. In Eva’s interview with him, he talks about people coming down from Barcelona, France and as far as the UK to buy antiques from him and take them back home to sell. Follow Érase El Rastro on Facebook and Instagram, and visit their website (www.eraseelrastro.com) to see the full documentary series.